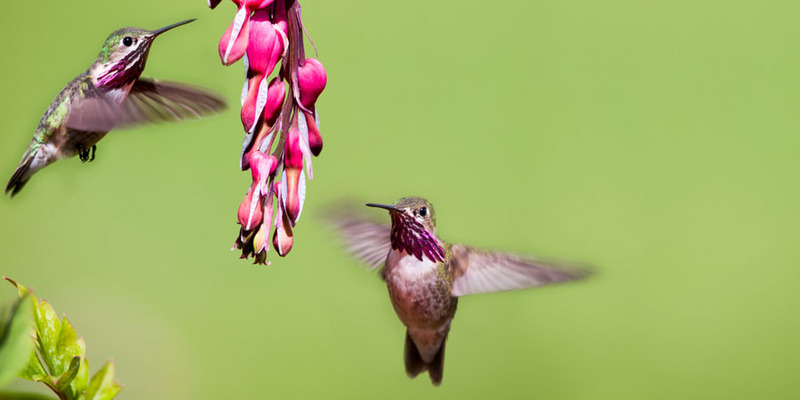 Hummingbirds are so much fun to watch at your hummingbird feeders, so have you ever considered adding flowers to your yard to attract hummingbirds naturally? There are dozens of flowers that hummingbirds can get nectar from, and you can fill in with hummingbird feeders when the blooms begin to fade. Here's a list of 20 nectar-rich flowers to help get you started. Bee Balm, also known as Monarda, is loved by bees, butterflies and of course hummingbirds. A bold statement plant that comes back year after year, Bee Balm can bloom for weeks at a time in a sunny location. Although some plants can survive in partial shade, the more sun this plant gets the more hummingbird-attracting flowers you will have! Grown most successfully in Zones 4-8. Begonias are shade-loving plants that typically grow less than twelve inches tall. They are great in hanging baskets placed near a window so you can admire the hummingbirds that come to drink the nectar. You can enjoy them all summer but when winter comes, they aren't likely to survive outdoors. 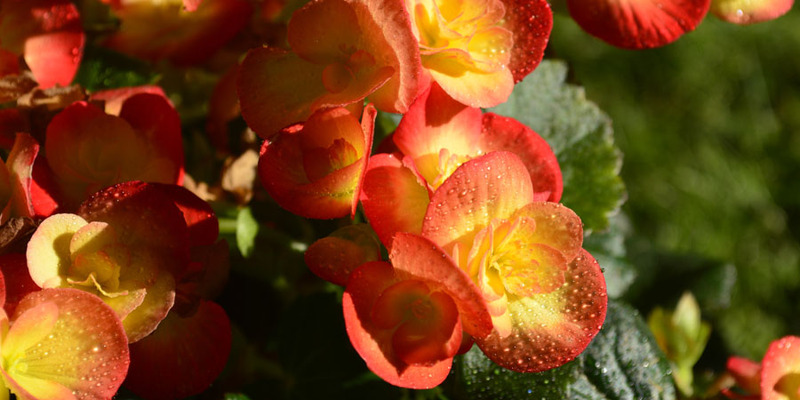 In most parts of the country (except in Zones 8-10) begonias are treated as annuals. Bleeding Hearts are another shade-loving plant that attracts hummingbirds, although these perennials can grow quite large. Once you plant a bleeding heart, you can enjoy the bright flowers for years to come. 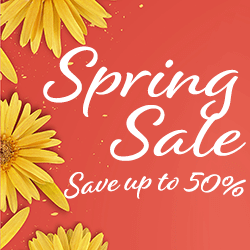 Each spring you'll be rewarded with beautiful foliage and bright nectar-filled flowers, and many plants will bloom again in the fall. Grown most successfully in Zones 3-8. Bugle weed is a ground cover that rarely reaches a foot tall, but it's sure to make an impact in your yard. A pretty little perennial that is comfortable in shade or sun, carpet bugle blooms in spring or summer (depending on the plant) in Zones 4-8. Cannas make a strong impression on any garden. With their tall stalks, bright colors that bloom mid-summer, and lush tropical foliage, cannas can easily brighten up your yard. Although technically perennials, most areas consider these beautiful flowers annuals. They are not terribly hardy, and only survive mild winters in Zones 9-10. 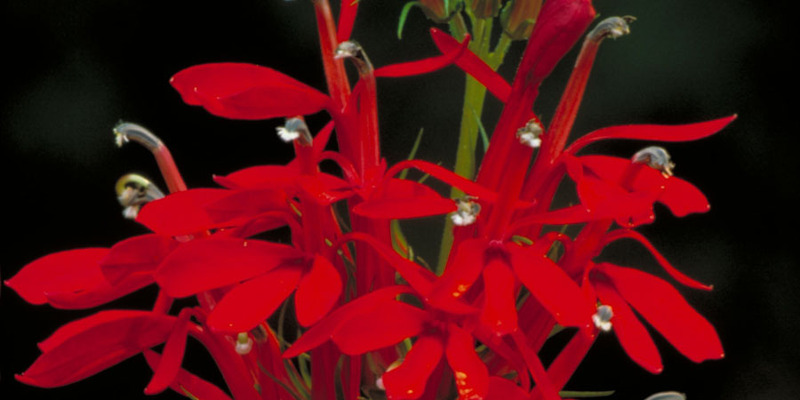 Cardinal flowers are a native wildflower that continues to be a favorite of hummingbirds. While they only bloom for a short while, their striking appearance earns them a place on the list of top flowers for attracting hummingbirds. They like to be kept moist and would do well placed near a water feature. Hardy in Zones 3-8. Columbine flowers grow on a mid-sized plant that can get as tall as three feet (depending on the plant you buy). As comfortable in partial shade as in full sun, these plants are relatively low maintenance. 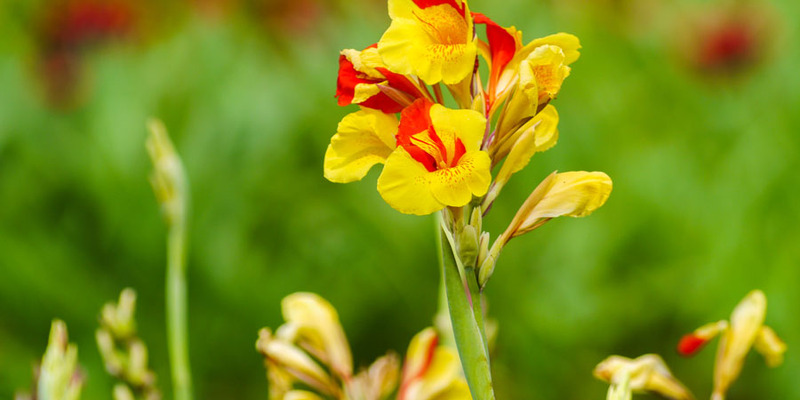 Remember that red and yellow tend to attract the attention of hummingbirds, and since these flowers will usually come back year after year — you may want to look for bright colored flowers! 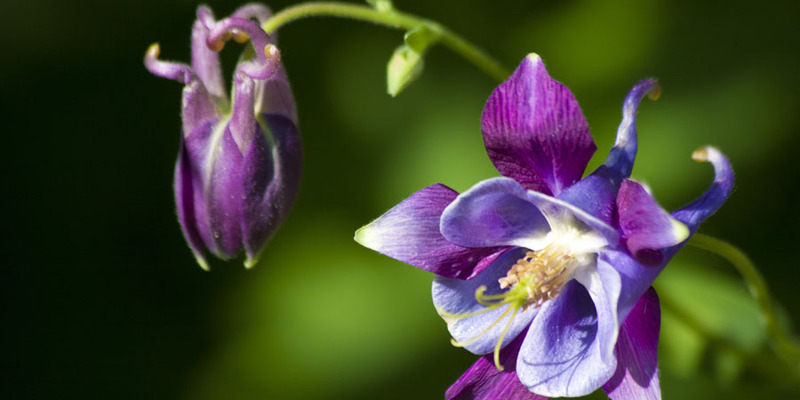 While some types of columbines can be grown in more extreme weather, in general gardeners in Zones 4-8 have the best luck growing them. 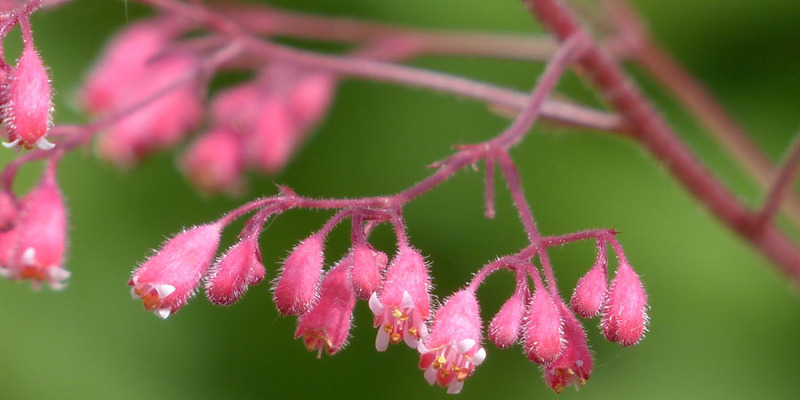 Coral Bells are also called Heuchera, and are best known for their stunning foliage. 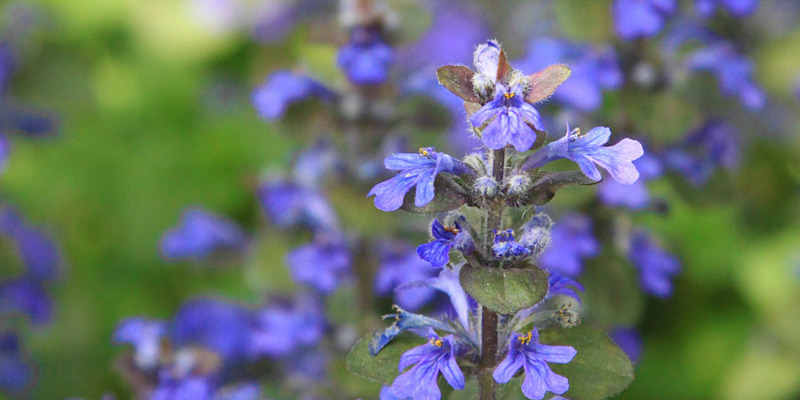 They are a low-growing perennial that grace us with beautiful tiny flowers in mid-summer. Loved by bees and hummingbirds alike, they are a great addition to your yard. 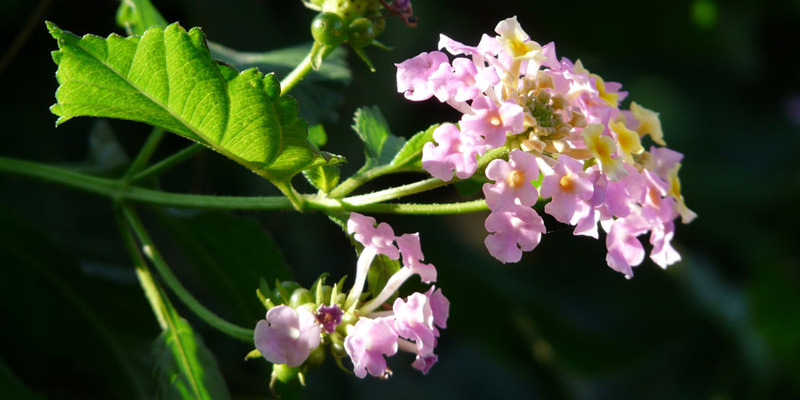 These plants do not do well in sunny areas, but quickly become a favorite part of shade gardens in Zones 4-9. 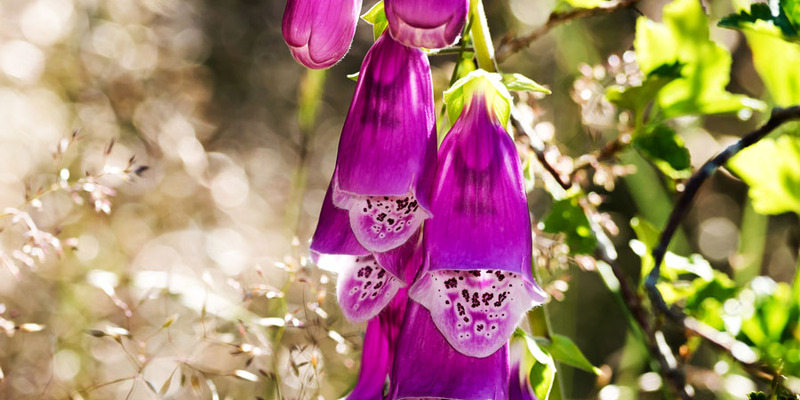 Foxglove groupings are dazzling, with majestic flowers that can reach up to four feet tall in sunny areas of your yard. While hummingbirds find these flowers irresistable, they are poisonous to pets and people. If you are considering planting foxglove, make sure you choose a location that ensures pets and people won't accidentally eat it. The plants bloom every other year and grow best in Zones 4-9. 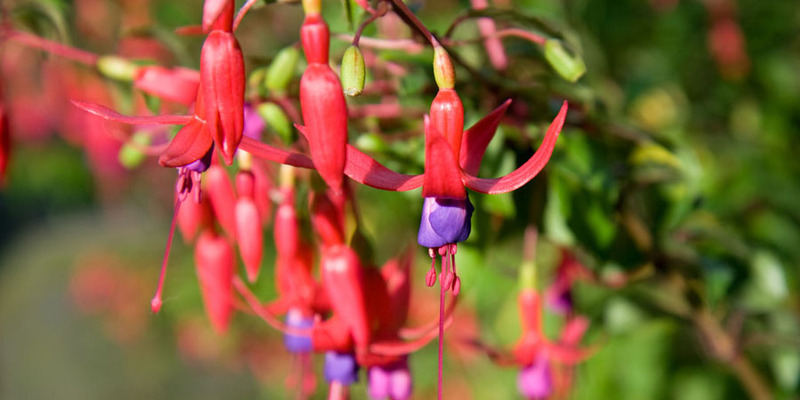 Fuchsias are a hummingbird favorite, and can bloom for months at a time. These plants have nectar-filled flowers, and the plants themselves create a nice shape in your garden or hanging planter. They grow to about two feet tall, and do best in a partially sunny area in Zones 6-9 (depending on the type of plant you buy). 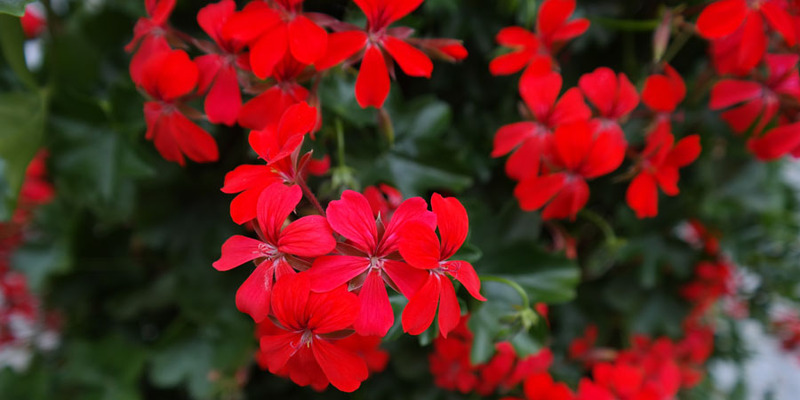 Geraniums are a low-maintenance perrenial that comes in a wide variety of sizes and colors. Typically blooming in mid-summer, these plants have lots of colorful flowers for hummingbirds to enjoy. Because there are so many different types of geraniums, check the label on plants before you buy to make sure they will grow in your Zone. 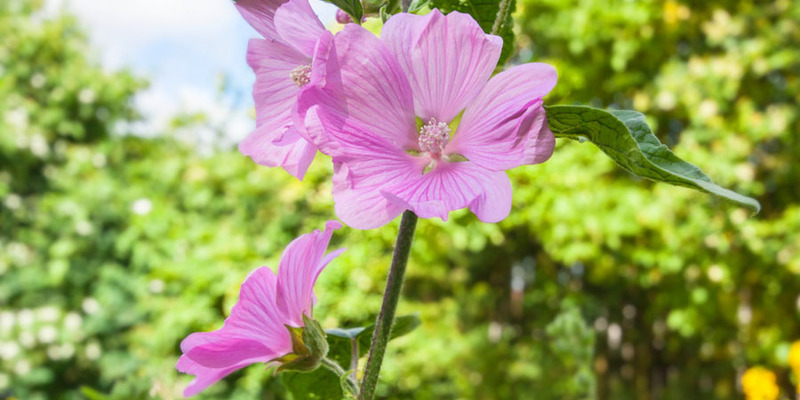 Hollyhocks are a tall plant with stunning flowers that often grow on stalks over five feet tall. Different types of hollyhocks are either perennial or biennial. Our favorites are the perennial plants as they bloom every year, but you may find the biennial plants come in the colors you are looking for. These plants need lots of sunshine to reach their full potential, and do best in Zones 3-9. Hostas are plants that were made for shade. These plants will do well underneath trees and their beautiful foliage adds unique texture to shade gardens. The flowers are often described as trumpet-shaped (just the perfect size for tiny hummingbirds) and bloom in mid-summer in Zones 3-9. 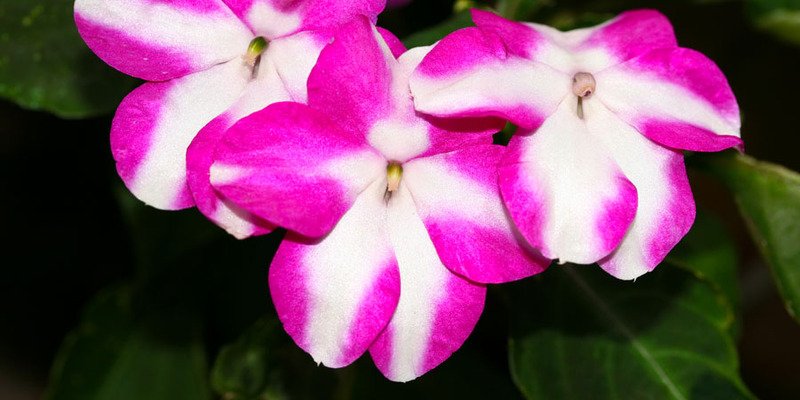 Impatiens are annual flowers that you can plant in an area left empty by biennial plants, or in a hanging basket near a window. 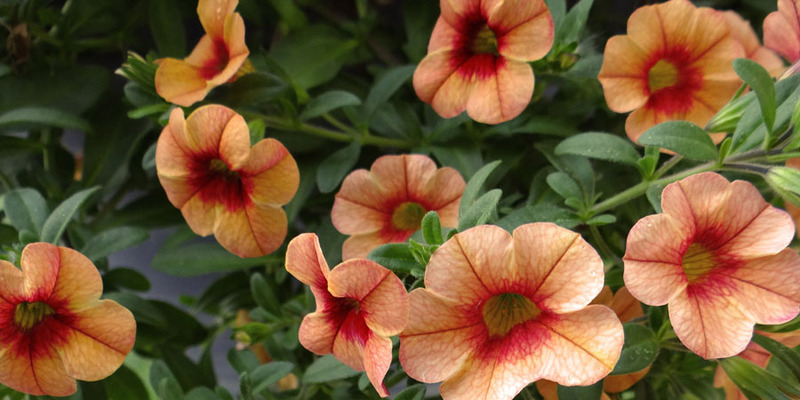 Equally happy in shade or partial sun, these plants will provide weeks of beautiful blooms. The flowers on impatiens can be pink, white, lavendar or multi-colored but whatever the color, they provide a great meal for hummingbirds. 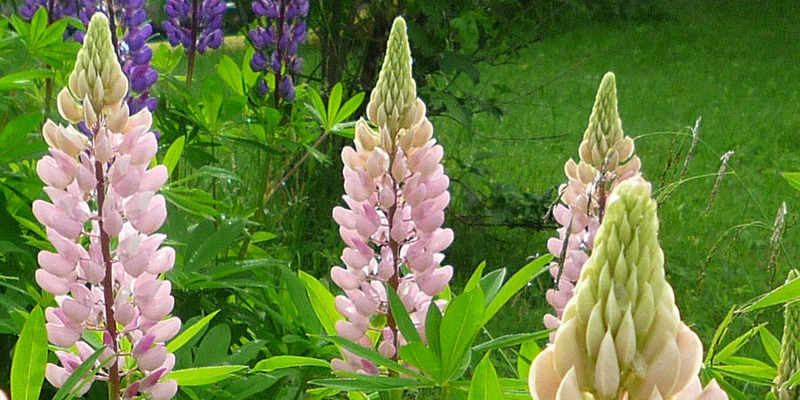 Lupines have a unique shaped flower that blooms vigorously once it's established. A summer-blooming plant that tops out at twenty four inches tall, lupines also make beautiful dried flowers. They tend to grow best in moist soil in Zones 4-8, so plant them near a birdbath and you'll save time watering. Most saliva plants are less than eighteen inches tall but hummingbirds have no trouble finding them. Their brilliant spikes of color bloom in spring and early summer, and if you "dead head" the flowers they will often re-bloom late in the season. They are very durable plants, and require little maintenance in Zones 5-9. Penstemons are a breathtaking sight. Their bright colored flowers bloom from late spring to early summer, with attractive foliage too. 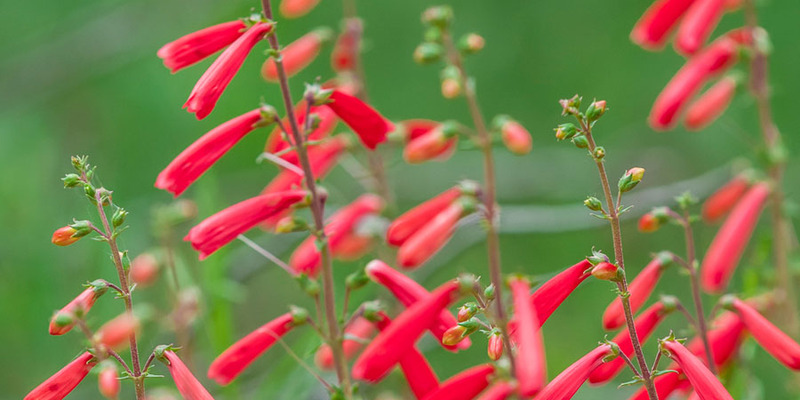 The trumpet-shaped flowers are easy for hummingbirds to feed at, and these drought-resistant plants will typically grow throughout Zones 3-9. Petunias are pretty annual flowers that spread quickly when planted in the sun. 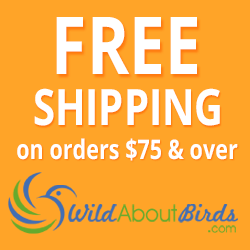 Your hummingbirds are sure to notice. Petunias are also fragrant flowers that are a great addition to the garden (as long as you don't mind planting more each year). 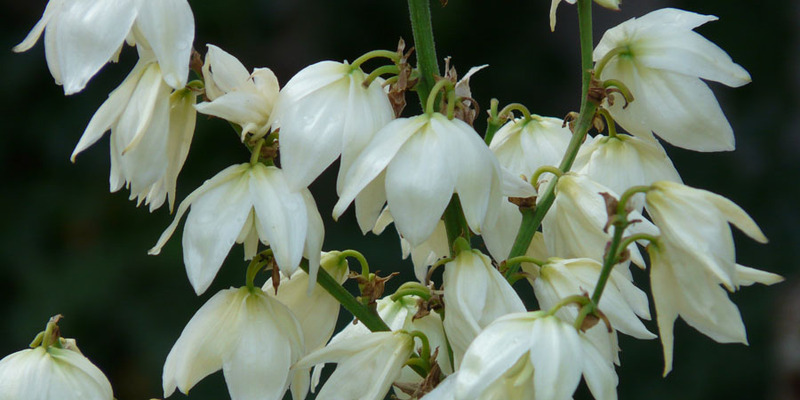 Yucca plants are heat-loving plants that thrive in dry conditions. 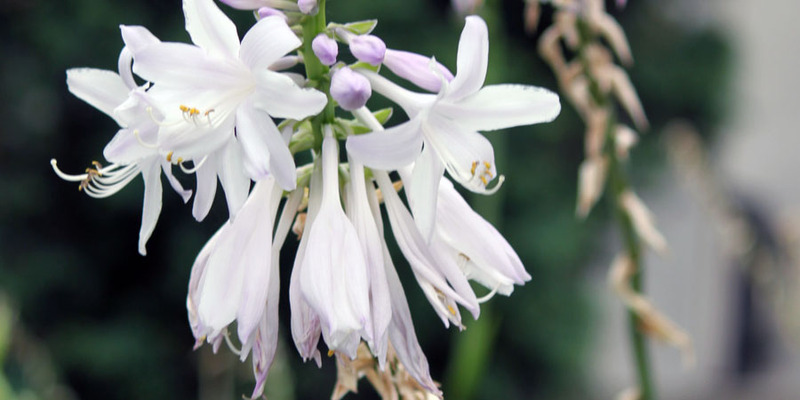 They have an impressive show of flower blooms in the spring on attractive upright flower stalks. Some types of yuccas can be grown in Zones 6-11, but most are only hardy in Zones 8-10. Not sure which Zone you are in? Check out the USDA Plant Hardiness Zone Map. Just enter your zip code to find your Zone. Planting flowers and vines that attract hummingbirds naturally is a great way to provide valuable nectar during the blooming season. You might also want to consider supplementing the flowers with a few hummingbird feeders around your yard, which will provide food year-round. Photo Credit: Hostas by WildAboutBirds.com photographer Judy_NMMI. 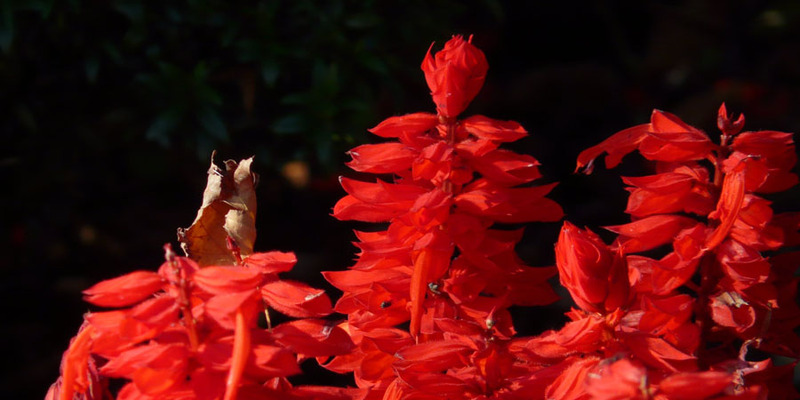 Coral Bells, Geranium, Lantana, Salvia and Yucca by Hans, Hummingbirds at Bleeding Hearts by wollertz via Depositphotos.com, Bee Balm by ca2hill via Depositphotos.com, Begonias by BrianJClark, Cannas by Araleboy via Depositphotos.com, Cardinal Flowers by tpsdave , Columbine by stux, Foxglove by steho via Depositphotos.com, Fuchsias by petr kratochvil, Hollyhocks by Julietart, Impatiens by dexns31 via Depositphotos.com, Lupines by peter häger, Penstemons by kwiktor via Depositphotos.com and Petunias by bobbi jones jones.